Slight changes to season titles. We thought some of our video season titles could be more descriptive in helping you understand what they are, and what you'll learn. No more season numbers. We're moving away from season numbers when referencing RISE UP video seasons. 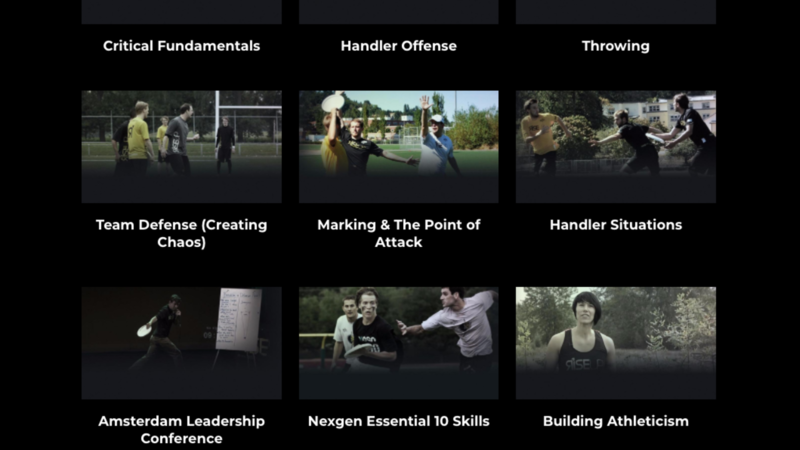 So, what used to be 'RISE UP season 1 - Handler Offense' is now just 'Handler Offense'. We think this makes more sense, because the season numbers didn't really indicate anything more than a reference to the order they were released. It'd be one thing if you actually had to watch S4 before S5 in order for S5 to make sense, but since that's not true, we're getting rid of the numbers. You still might see some season numbers around (like in the actual videos) but.